I’ll admit, I am not the most organized person. However, once I find a system that works, I find it much easier to stay organized so I got motivated and organized my beauty products and accessories with just a few bucks. I LOVE these Ikea spice racks for organization. 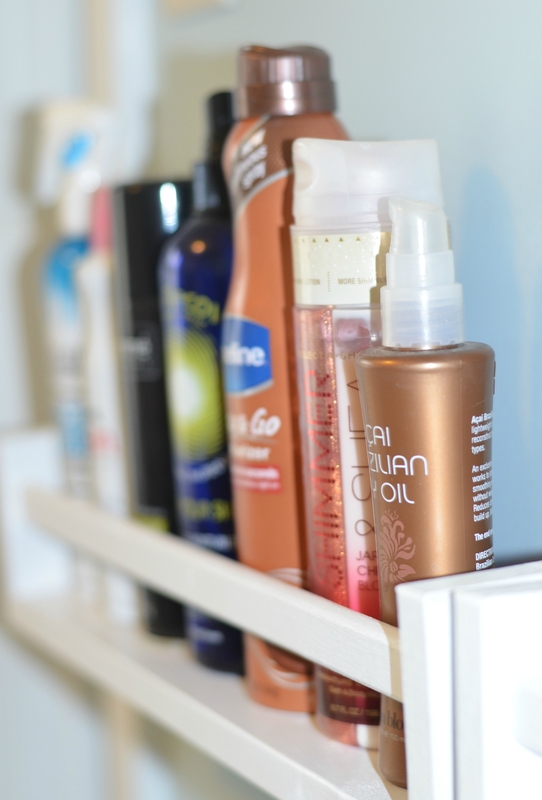 I painted them white, hung them up in my bathroom and it is the perfect place to organize skin and hair products. These are only $3.99! My accessories were tucked away in a drawer and I really wanted them on display so when I get dressed I can see what my options are. These space-saving hangers are perfect to hang accessories right in your closet and these are under $10. My makeup brushes were just kind of sprawled across my counter and I remembers I cleaned out the remaining wax of a candle jar. This is the perfect way to organize makeup brushes or anything for that matter. What do you do to stay organized? These are amazing! I love the necklace organization!!! I wish I could just find a better one for my makeup, I swear I have about 5 boxes right now! I love the idea with spice racks! My conditioners and body balms take a lot of space around the bathtube. I definitely need to check out those racks in my local IKEA. definitely, do.. they sell them online too & they are so cheap! thanks for stopping by! 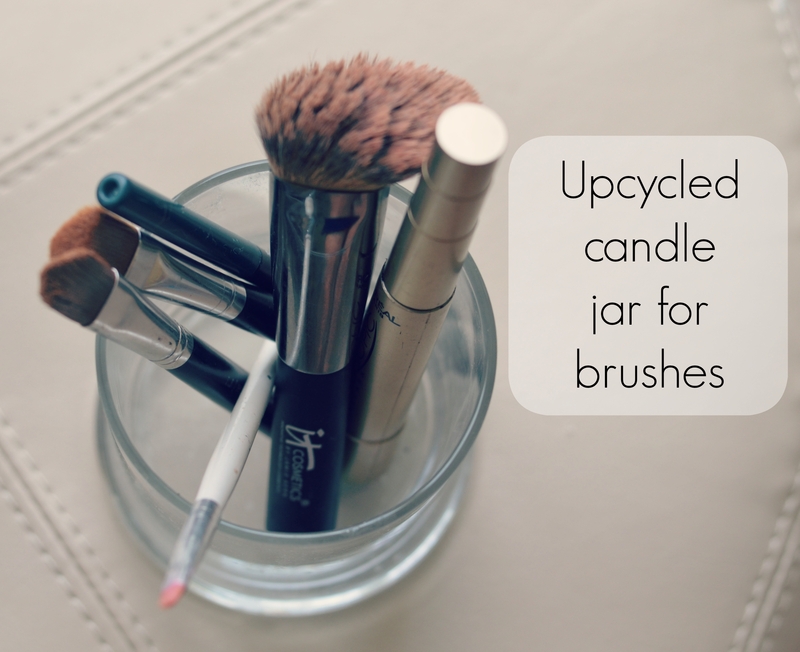 def a great way to upcycle some old candles! 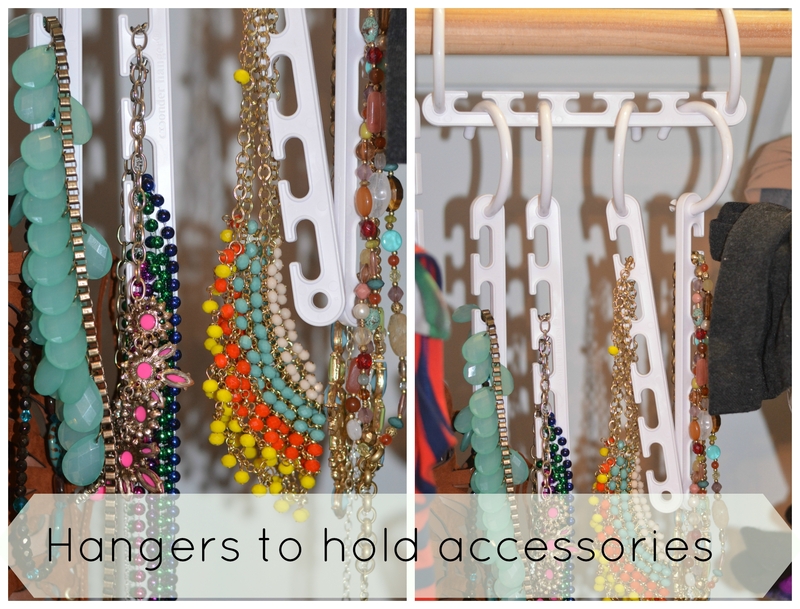 I love the necklace hangers and spice racks – great ideas! 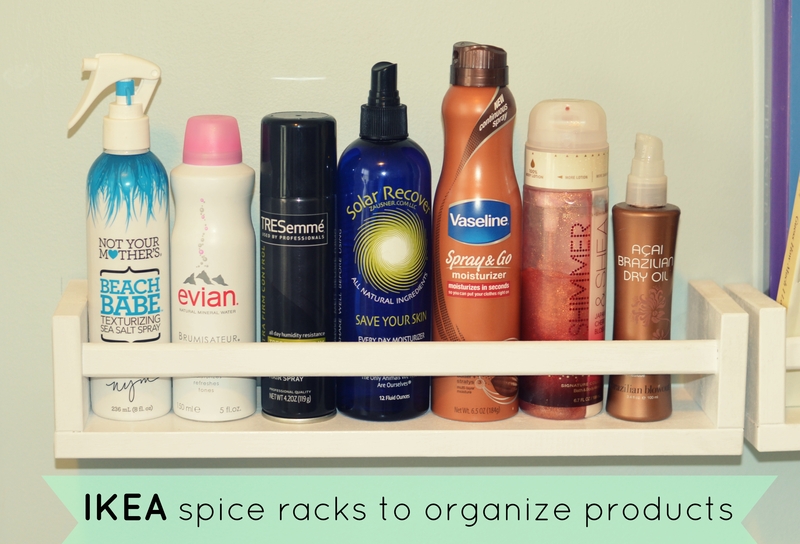 What a great way to organize your products! I need to get some of these. 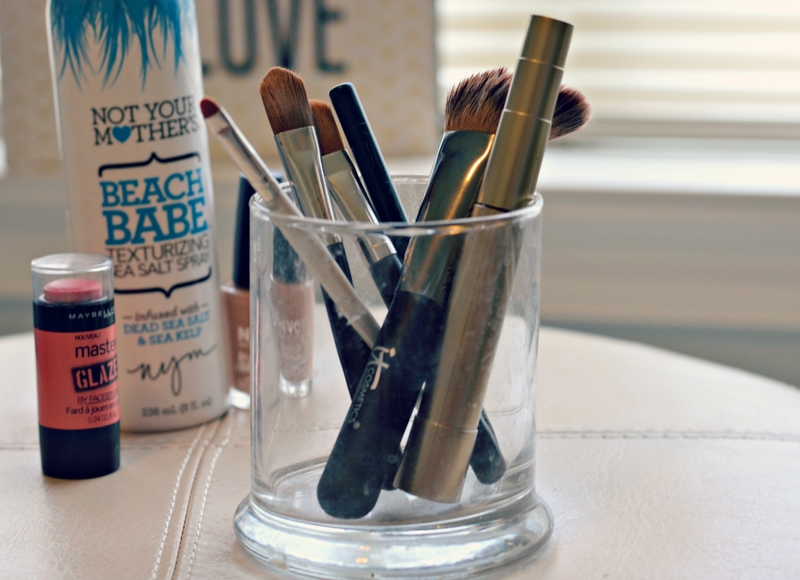 Candle jars as brush holders is such a cool idea! Love it !